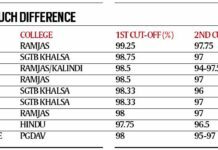 With the first cut offs of the admission season out, there is a great deal of excitement and nervousness among students to take admission in the college of their choice. However, the process is not as easy as it may sound. Various points need to be kept in mind while taking admission. Don’t worry, we are here you make it easy for you! Keep these pointers in mind to make sure you go through a smooth admission process. Make sure that you have all the necessary original documents with you as well as the self attested photocopies of the same (including your passport size photographs). Please make sure you have enough extra copies of each document so that you don’t waste time near the photocopy shops in the end moment. The college will give you a list of documents required along with the cut off list, make sure you put all the documents in order given on that list. Anti-Ragging Affidavit: A few colleges require an anti-ragging affidavit, to be signed by the student itself. Please make sure you take this form online, and not bUy it outside colleges.This form is for FREE! Make sure the subjects you want to include for your best of four percentage are permissible as per the college norms. For example, subjects like entrepreneurship and physical education can only be included if the college have special conditions for the same. Only SGND KHALSA and SGGSCC allows the inclusion of “entrepreneurship” in best of four. All the information you fill on the admission form of your college should be same as mentioned on your certificates which you provide for verification. In case you make an error , please ask for another form without hesitation. Some colleges (co-ed) also give a 2-5% relaxation for girls. Please keep this in mind. 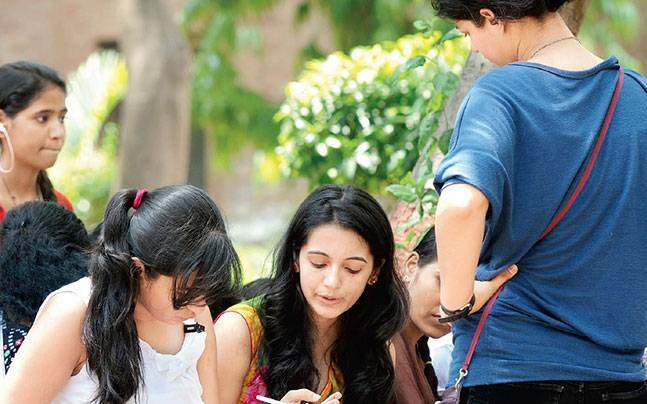 Make sure your doubts are cleared by the administration of the particular college. The students in charge and sometimes even the faculty may misguide you. If you are applying under special quota, make sure you have all the additional documents required with you. PLAY SAFE! 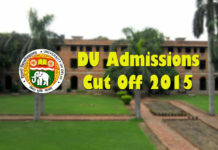 Take admission in the best possible college in the first cut off and reserve your seat. Sometimes you may wait for the cut offs of your dream college to fall and then regret your decision. It is very important to know the withdrawal process of the original documents which you submit while admission. Make sure you withdraw these documents a few months after you get into the college. You will be required to submit your First Year Fees in the colleges as well, so please make sure you reach the college early in the admission hours so that you are able to finish the process at one go. The last but the most important thing: Go and explore different colleges and make a good decision. Instead of following your friends, and choose your college on the basis of the crowd, please choose your college on the basis of the course you want to do and the college which has the best faculty for that course is the right place for you! Previous articleIntern at Asmat NGO: Applications are open!